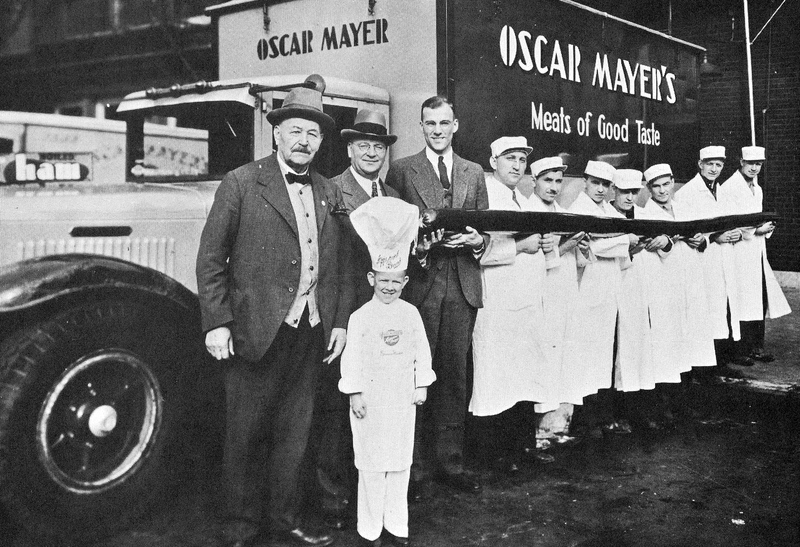 Jim Aehl, Judy Fenske and Joan Phelan, retired employees of Oscar Mayer Foods, will discuss the nationally recognized brand founded in 1919 when Oscar G. Mayer purchased the bankrupt Farmers’ Co-operative Meat Packing Co. David Arndt, another retired employee, will display some of his vast collection of Oscar Mayer memorabilia. And there’s a rumor the WEINERMOBILE will pay us a visit! find us in THE LOFT! Additional parking is available off Cory Street at the rear of St. Bernard’s Church and in the small lot across from Madison Kipp on Waubesa. 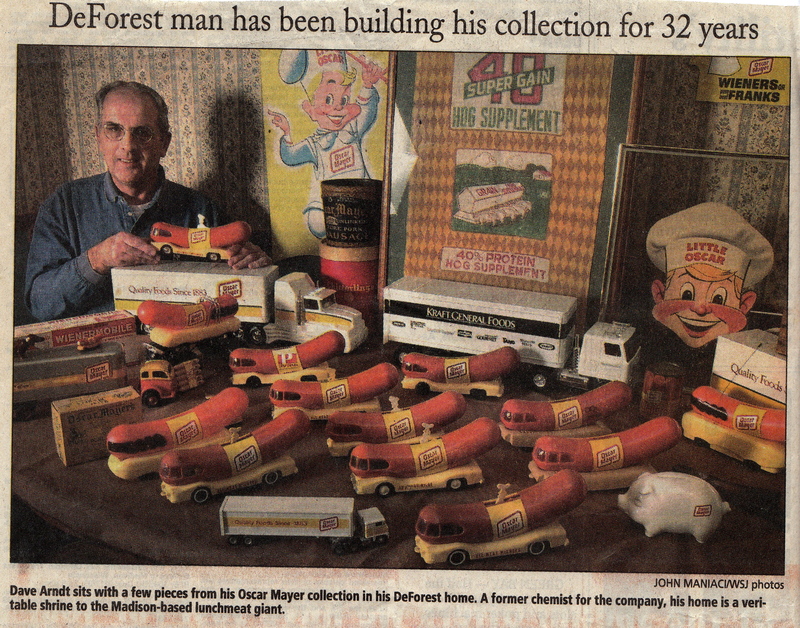 Dave Arndt’s collection of Oscar Mayer memorabilia was featured in the Wisconsin State Journal.